Making the City Playable 2017 takes place on 19 October in Watershed. Producer Hilary O’Shaughnessy outlines the challenges involved curating meaningful events in a world overrun by conferences. Play is everywhere these days. Online articles, podcasts, books, talks, and conferences with play strands are hugely popular. Stephen Johnson’s Wonderland podcast and accompanying book “How Play Made the Modern World’ provide stunning arguments for the role play has played in our greatest innovations to date. Fantastic play curators like Matheson Marcault are regularly invited by larger organisations to curate play nights amongst the statues and relics on the V and A, going so far as to design games inspired by the artefacts they were played amongst. Even the somewhat maligned rise of Pokemon Go has given us new references for how we can speak about play in the real world. When Playable City began, the idea of play in the city was relatively new and exciting. Or at least it wasn’t as much of a public conversation as it is today. For the first Making the City Playable, we brought together a mix of thinkers, makers, planners and civil disobedients. Technologists like Usman Haque bounced ideas around with policy makers like then Mayor of Bristol, George Ferguson. Our intention was to look at cities as Playable Places and ask how might we make and unmake our future cities together, encouraging citizens to reimagine and reconfigure their city’s services, places and stories. Since then, the Playable City Award is in its fourth iteration and we’ve hacked lampposts, competed with kangaroos, had surprisingly deep conversations with furniture from Astana to Austin. Rather than criticising Smart Cities, we are working with them to co-create meaningful experiences for people to understand their role in cities. Playable City has networks of artists and city changemakers in every continent in the world. We’ve put playful prototypes in informal buses in Lagos at rush hour, we’re taking over a stream in Seoul in October, and we’re building networks of specialist international producers to take the work farther than we have ever imagined. So, when it came to programming Making the City Playable 2017, we had to step back and ask ourselves, what conversations do we need to have about play in public now? Play is relational and contextual. If those contexts change all of the time, then what does this mean for us and what we need to know? What are the questions we need to address now and how do we do this with as many different perspectives as possible? This is why we are introducing the day with the delightfully provocative Miguel Sicart who will challenge our assumptions about playable cities, urbanism, and digital technology. By questioning the very meaning of Playable Cities, Miguel will propose an ‘alternative understanding of the role of play in modern urban living’. The rest of the day is broken into four segments: Who can play, How We Play, Let’s play and Where we play. Who can play addresses the important issues that surround the design, implementation and attitudes that shape who is invited to and excluded from play in public. How We Play gets down to the nitty gritty of play and how to make it happen. The practice of designing, producing, commissioning large scale play projects is often complicated and protracted. How do we look at these issues from an international perspective and learn from one another? 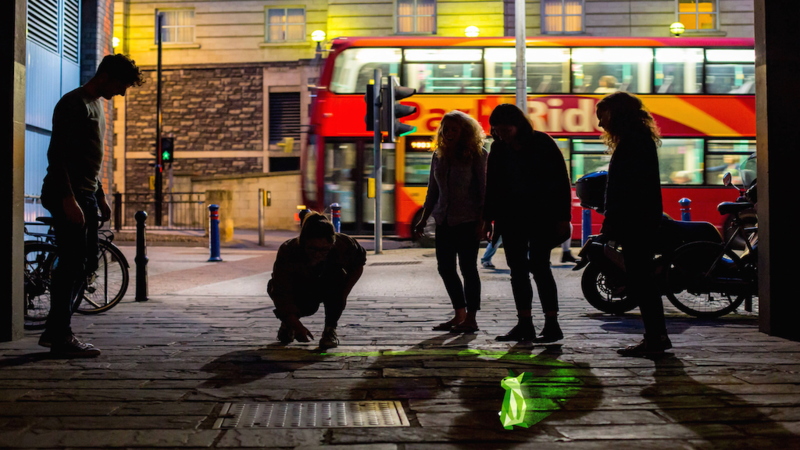 Let’s Play takes us onto the streets, down alleys and along the waterways of Bristol for an international take on play in cities hosted by our producers with the help of street game expert Simon Johnson. We’ll end the day back in Watershed looking at the role of play today in an international context of global instability.